It is common knowledge that the grassland ecosystem is one of high botanical biodiversity. Even disturbed grasslands can have a rather high diversity of a mixed bag of native and exotic plants. Whilst strolling along the side of a 300m stretch of road in the Queens domain I decided to do an amateur-naturalist survey. I took the road as an informal transect and count the number of grass genera that I could discern along that 300 m stretch, just on the side of the road I was walking. I collected some of the grass and laid them out to photograph, as shown below. Although only 17 species are featured in the photograph, there is not a shadow of doubt that I have missed quite a few species. 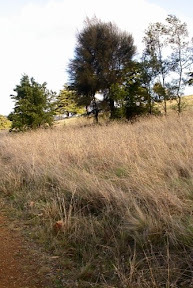 For example, there were definitely more than two species of Speargrass (Austrostipa) and a few other more genera that I had seen previously when walking along that road. 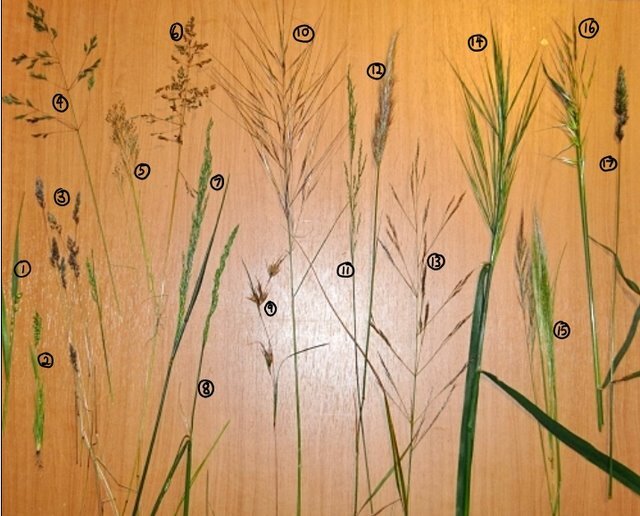 Nevertheless, just on the basis of what I have collected and laid out there are at least 14 genera of grasses, all just on one side of a 300m stretch of road! For a fan of biodiversity (weedy or not) and of grasses, a ramble around such a grassland in springtime is simply irresistible. 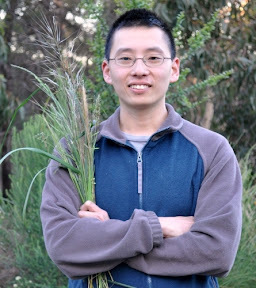 This entry was posted in Biodiversity, Grasses, Introduced Plants, Rambles and tagged Biodiversity, Grasses, grassland, Poaceae, Queens Domain. Bookmark the permalink.